As event industry professionals and technical innovators, we develop our communication technology products to meet the demands of the meeting and event industry. Whether you are webcasting your organization's leadership communication, reaching new markets via live social broadcating or training your workforce, we have developed a suite of feature-rich applications that help you achieve your communication goals, as part of our fully managed solutions. 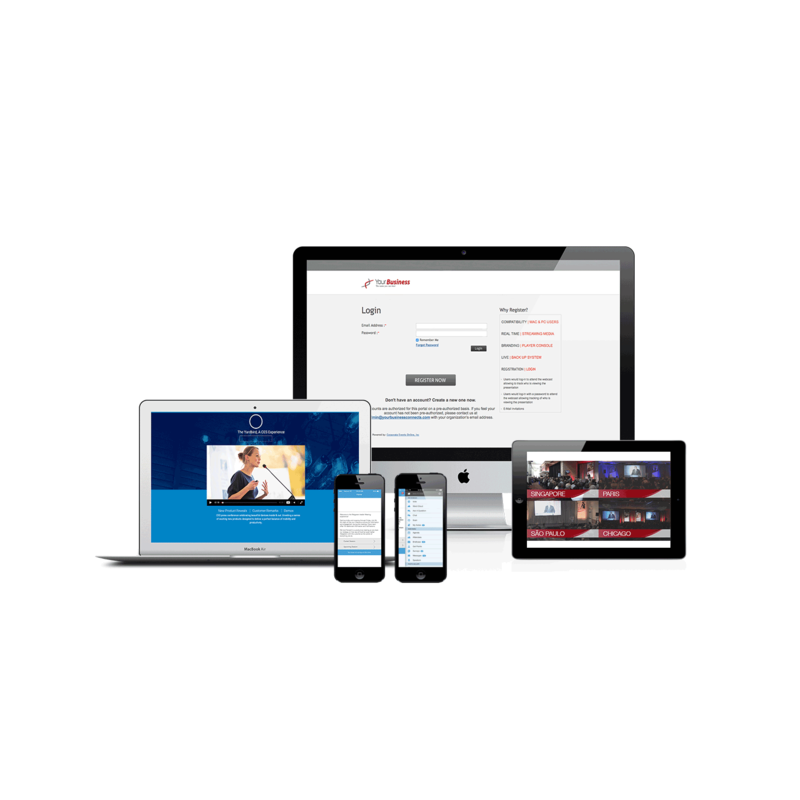 StagePro is a cloud-based, fully-integrated webcasting portal where your content is secured, managed and played, live or on-demand, anywhere in the world. As part of a managed services, StagePro gives you the confidence to leverage the power of internet broadcasting to achieve your communication goals for all your business purposes. 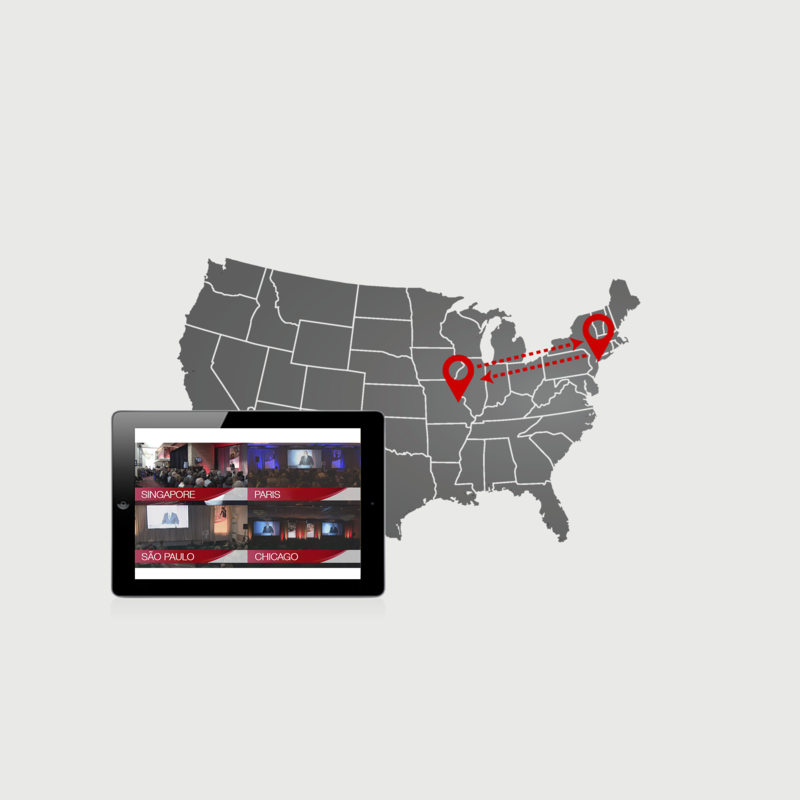 The power of point-to-point and multi point-to-point broadcasting, once restricted to the world of satellite communication is now available to you through the advancement of IP via StageCast. The next generation of point-to-point broadcasting over the internet. When you are producing an internal broadcast to train thousands of employees for workforce development events, it’s important to choose the right technical partner you can trust to deliver results via IP at any scale, so you can improve your organization faster. 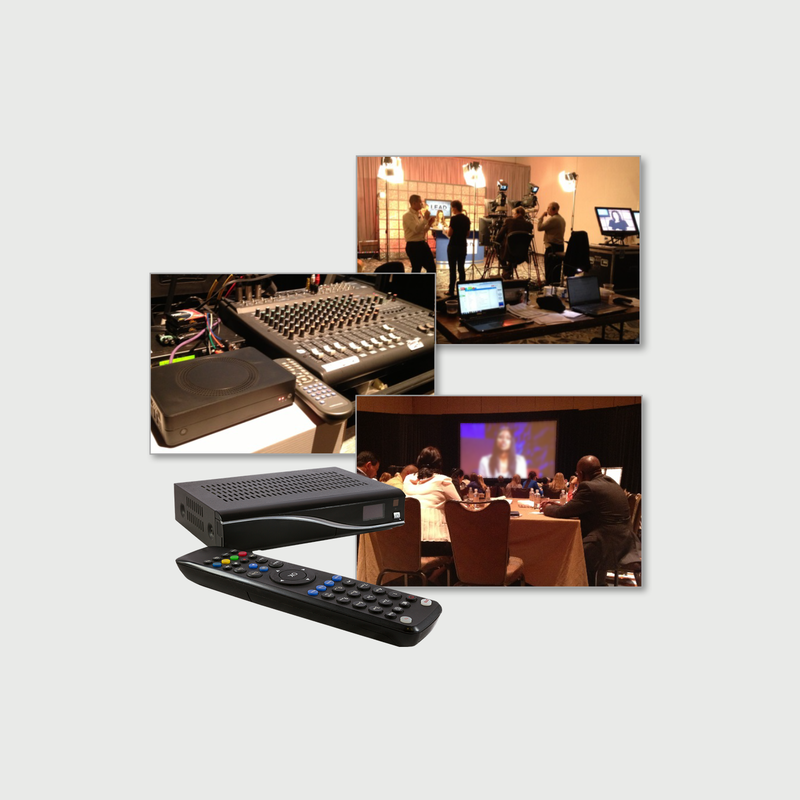 StageMicro is a customizable webcasting microsite designed to harmonize with the branding of your organization and/or event without the distraction of noisy, ad-support webcasting platforms. Programming can be tailored to support your communication goals. StagePlayer is a powerful, HTML5 compatible, web-based video player utilizing adaptive bitrate technology that empowers you to broadcast your online video into the environment you want to control. Together with bandwidth and hosting packages, we make it easy to deploy StagePlayer and broadcast to your audience anywhere in the world. 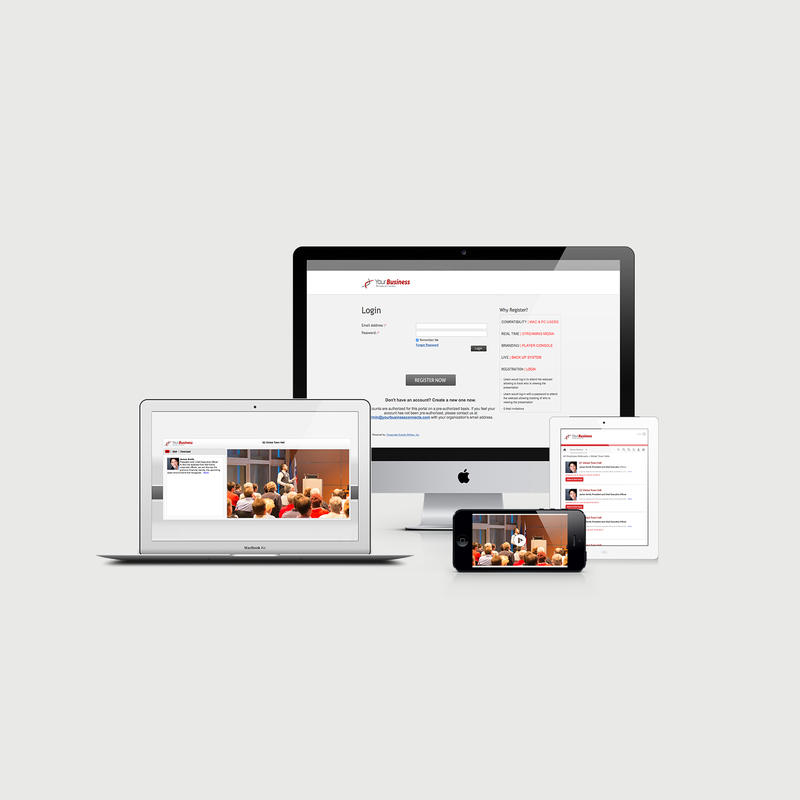 Transform your meetings and events with powerful mobile engagement platforms and an experienced team of technology professionals delivered by Corporate Event Online. 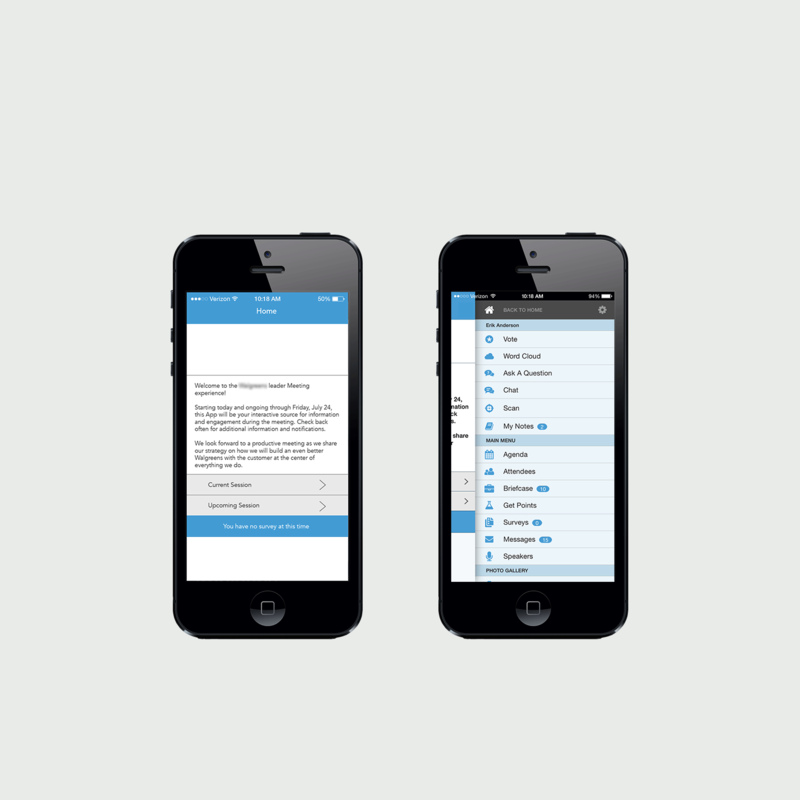 CEO 360App works throughout your communication calendar to maximize the impact of your events.